A while back I posted an oversold RSI 2 system for GDX, the system last did a long trade back in February for a quick trade. 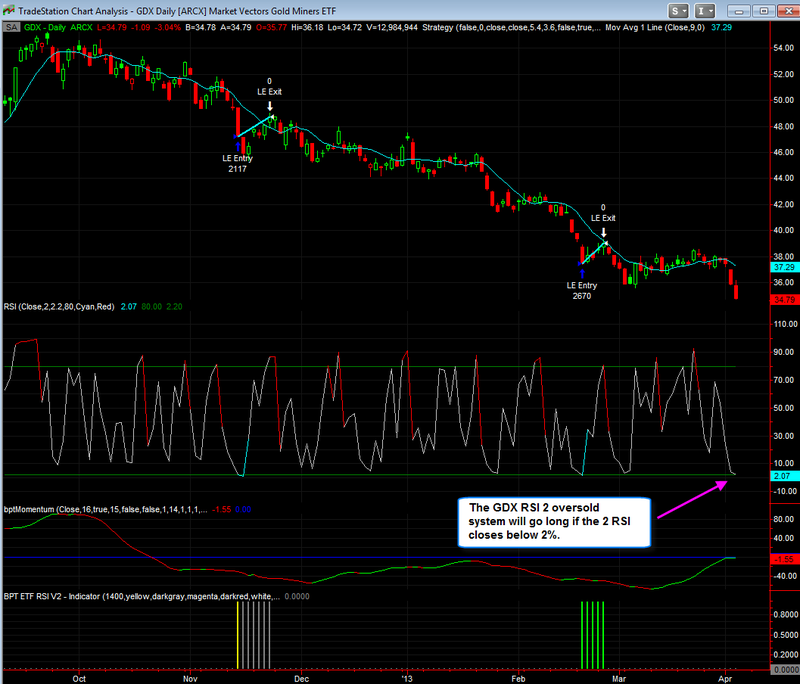 Currently the RSI 2 is at 1.6% and if it closes below 2.1%, the system will take a long trade. Therefore monitor the RSI 2 and see how it closes, again it needs to close below 2.1% in order for this system to take a long. I've also attached a static image if the general statistics. Note: This is NOT a traditional RSI 2 Larry Connors system because those systems will only take longs when price is above the 200 MA. I turned off that MA so that I could what would happen if you ignored it. 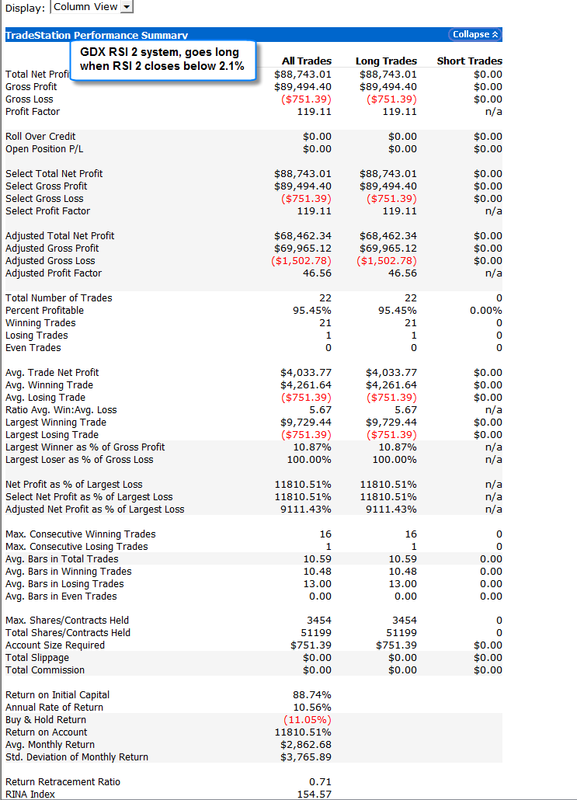 As you can see from the stats, it's a rare event, about 95% of the traders were winners with the largest losing trade only being 0.75%. HOWEVER that is deceiving because the system can take quite a bit of heat at times if it buys too early before GDX finally bounces. Here's a video I made back in February which shows this. Again I'm posting this for informational purposes only. informational purposes only, you make your own trading decisions.